The legal industry continues to focus on reducing costs, finding new sources of revenue, and increasing efficiency in order to remain competitive. Most law firms’ IT teams are also faced with doing more with fewer resources. 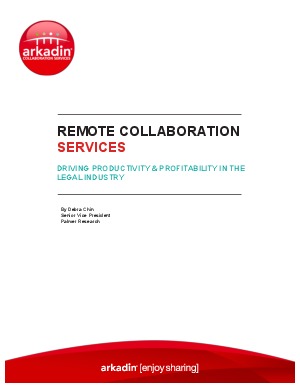 As an executive in charge of IT, finance, or human resources this whitepaper will arm you with valuable information about how remote collaboration solutions such as audio, video, and web conferencing can help law firms lower costs, increase productivity, and drive incremental revenue.